let us explain you in detail about this field. Animal Husbandry is a science of feeding, breeding and tending domestic animals, especially farm animals such as cattle, sheep, horses, hogs, etc. Some examples of animal husbandry are Beekeeping, Dog breeding, Farming, Horse breeding, Pig farming, Raising cattle, Sheep farming, etc. The first selective breeding for desired traits was established by Robert Bakewell, during the British Agricultural Revolution in the 18th century. Animal Husbandry plays a vital role in rural areas because a large number of farmers depend upon the animal husbandry for their living. Want to become a professional in this field?…… then first pursue a course in this field. Animal Husbandry field has lots of courses to pursue like diploma, bachelors and postgraduate courses. You can study courses in this field in India and in abroad. Mostly agricultural universities in India offer courses in this field. The bachelor degree course in this field is of four year duration and diploma course is of one year duration. Basic requirements for graduate courses, candidates must have cleared 10+2 class with Physics, Chemistry, Biology and English subjects. For master courses, students should have a bachelor degree in the related field. Interested to get admission in these courses? After pursuing courses in this field you will be able to work with farm, zoo and lab animals anywhere in India and in abroad. Animal Husbandry sector also offers large self employment opportunities. You can also do teaching jobs in universities or colleges. You can become professionals in this field including poultry, livestock, dairy and farmers. Most common career in animal husbandry is animal technician, animal caretaker, breeding supervisor and livestock farm manager. Animal husbandry professionals can do the work themselves or oversee other workers, depending upon the size of the farm. After holding a degree in this field you can manage a livestock operation, consult for an agribusiness company or start your own breeding farm. How much you will earn in this field? In India, the average salary of a professional in this field is between Rs.12k to Rs. 17k per month. As a technologist or researchers you can get the salary packages upto 20k per month. Salaries will depend upon the type of practice, animals, working area, education, job title, etc. 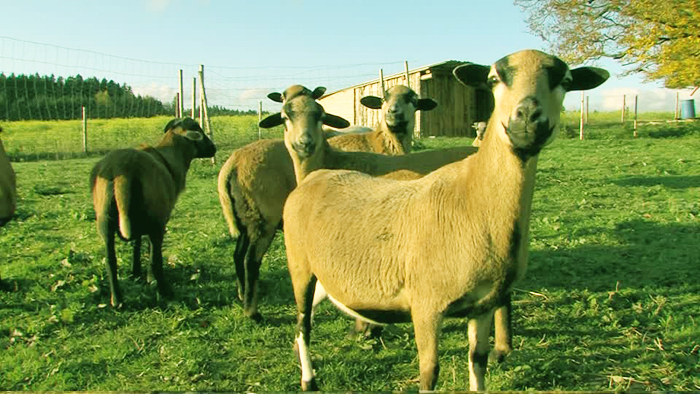 After gaining much experience in this field, you can also open your own farm. Below we have listed some of the best books for animal husbandry. A Textbook of Animal Husbandry by Banerjee G. C.
For more information regarding Career in Animal Husbandry, ask your queries below. What is the salary in abroad in this field? Can.. .pcm student applied for this course? i studied 12 pcm can i able to apply for this course? This course can not do after 10th class? I am complete DAHET diploma. whats career now in this field. sir i hadcdone class 12 with pcm branch.. sir..what should i do to go in field of animal husbandary.and animal caring… i am very interested in serving animals and they are my world and i can’t live without them…. they are part of family and my life…. i am very fond of caring animals.. especially dogs and other animals. such as tiger, lion and…. i really love themmm… i believe that they are much better than humans in feeling..,respect and various other things……. Sir plse reply to my comment……. animals are my whole world….. I have passed 12th with PCM.I want to open my own dairy plant with modern methodologies.Do i need to do any degree or diploma. Sir i have completed 12 with pcm which course can i do and how to get admission in national diploma in animal husbandry give in full information. Which entrance exam I can conduct for 2018 ‘s admission to animal husbandry Btech? I have completed my graduation in agriculture and also complete M B A (agri business) . Please guide me what can I do any courses for be a doctor of animals please. Can i go for MV.Sc after completion in b.sc AH and dairing? plz give confirmation that can we do msc. animal husbandry after completing bsc.agriculture. I have passed Indian Dairy Diploma (IDD,DH) from NDRI, Kalyani this year. Would any one help me in finding a suitable job for me anywhere in India. Good morning sir,I am Sirtaj from hyderabad and i have some couple of queries to be answered. 1.i finished my intermediate+2in mpc group in 2013 and I am interested in any of the forest related jobs. I want to know that whether am I eligible for any of the jobs or not. 2.what if I do a course in animal husbandry and veterinary,so do I have a chance after this to get on a post and work.. I want informations about courses and related exams . Sir I had completed M.Sc. in organic chemistry so after then any cource or scope in animal husbundry ? can we join after 12 science pass? I want the details of different course, how to apply,fees …. if any entrance exam for joining bsc animal husbandry? Sir,I am student of M.Sc.Animal Husbandry and dairy science.Give me career option.I am from Maharashtra State.